Live in Denver, Colorado & Learn English. Chart Your Path to Success. 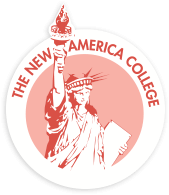 The mission of New America College (NAC) is to provide intensive English language instruction to international and F-1 visa students, as well as permanent immigrant residents who live in Denver and want to learn English. This intensive educational experience will include the academic and social skills that will enable them to realize their potential, improve their personal and professional lives, and succeed in future endeavors. Live and Study in Denver, Colorado. With the Great Plains to the east, and Rocky Mountains to the west, Denver is a city that defines what it means to be American. Uniquely cosmopolitan and American, Denver is the perfect setting to pursue your dreams. You will find a home nestled in unique and friendly neighborhoods. Plus, with surprisingly warm winters and cool summers, Denver is one of the most bike friendly cities in the United States. We know it is a Big Adventure, but we are here to help. In fact, we literally — as some here say – wrote the Guidebook for International Students wanting to move to Denver. NAC is here to help you reach your goals. NAC’s goal is to expand student opportunities through its partnerships with other organizations. These unique relationships offer added value to students both during their studies and when they are ready to move on to the next step. One of our students recently told us NAC helps with “continuous self-improvement.” When you are ready, our partners are, too. Get Certified to Teach English with CIEE. New America College & the Council of International Educational Exchange (CIEE) are helping teachers — like you — teach English to students from all over the world. CIEE’s 150-hour online Teaching English as a Foreign Language (TEFL) certification will expand your career. Teaching English as a Second Language is a fast growing field and helps people in need. With your certification you can tutor online, teach in a classroom, and volunteer at your local community center. In the process you will create opportunities for you and your students. Learn from the experts. Complete your practicum hours at NAC!